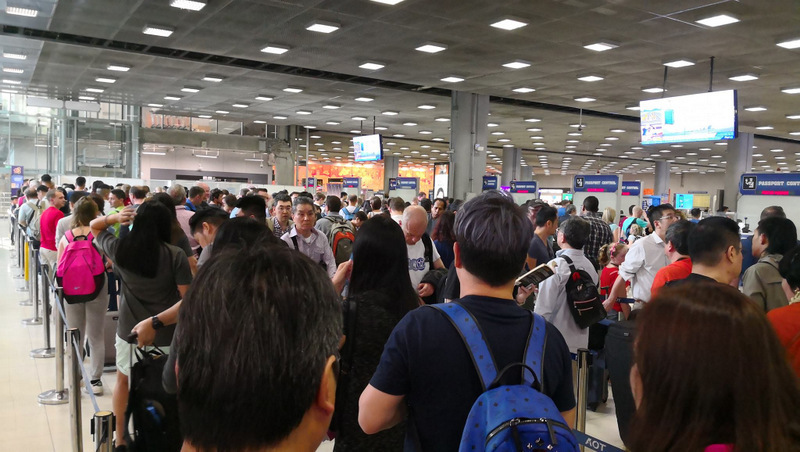 PHUKET: Following a slew of complaints about the lack of seating and long queues to clear immigration, Phuket International Airport General Manager Petch Chancharoen yesterday (April 1) went public to claim that “everything is fine” at the facility. Speaking to the press yesterday, Mr Petch insisted that Phuket airport was able to process 60,000 passengers arriving and departing on more than 350 flights per day. However, he added, “I confirm that every part of the airport will be fully operational in June. We will be able to provide more space for passengers in some areas of the airport from April 4 (Wednesday), ahead of the travellers arriving and departing for Thai New Year (Songkran). “Phuket International Airport will definitely be able to provide services for passengers during this period. Plus the air conditioning has been fixed and other little things will be changed or upgraded for the best service.” he said. 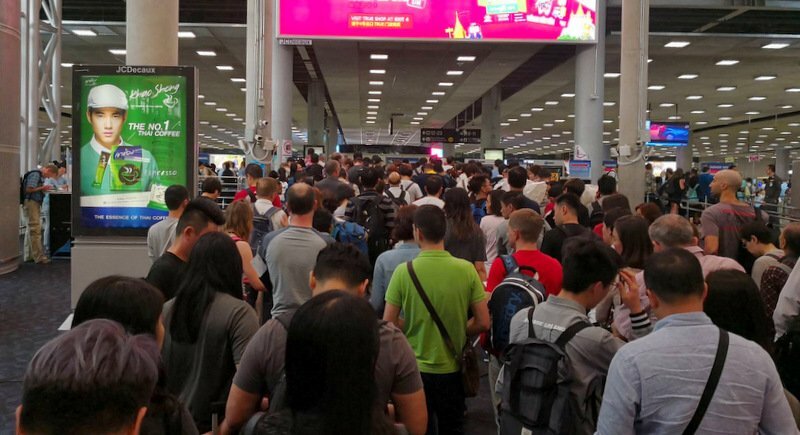 Mr Petch’s defence of the airport’s follows a foreign traveller blasting the airport for long immigration queues as recently as Friday (Mar 30) in a social media post that ricocheted across Thai social media platforms and news websites. 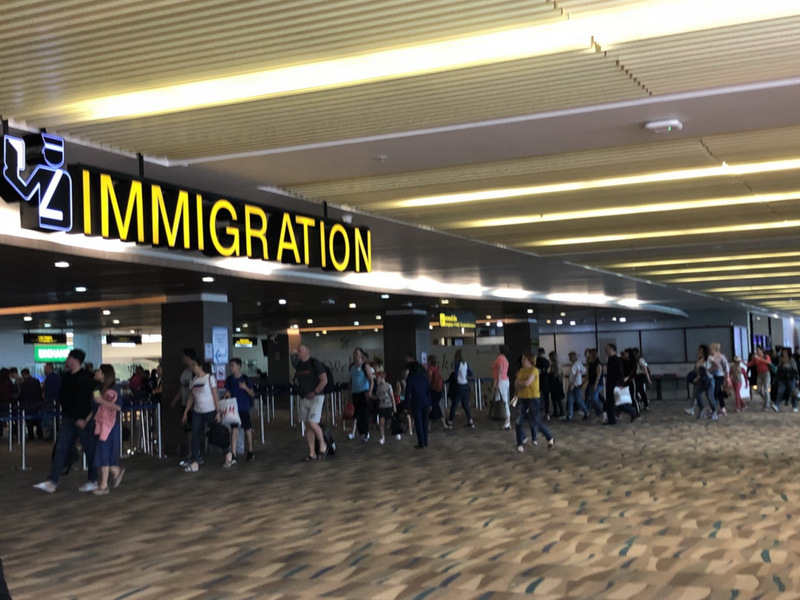 “In 10 years having been in and out of Thailand on a very regular and frequent basis, this is the FIRST time I can see hundreds of people queuing at Immigration on both sides of the airport! !,” the foreigner posted in English on Facebook under the user name “Dev Zed”. “Queues are starting straight from the main corridor used to navigate within the airport!” he added. 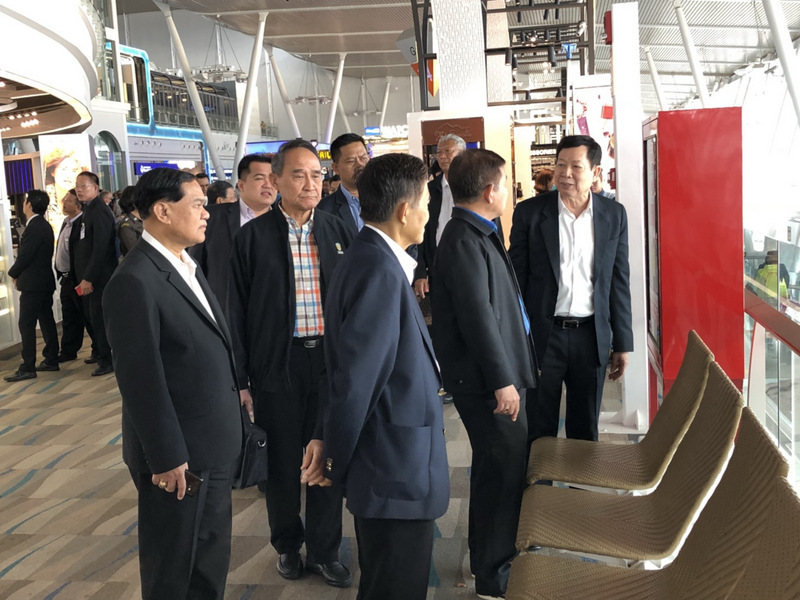 The post came less than a week after members of National Legislative Assembly (NLA) standing committee for transportation inspected Phuket airport and called for more space for passenger seating instead of the large number of shops at the airport. 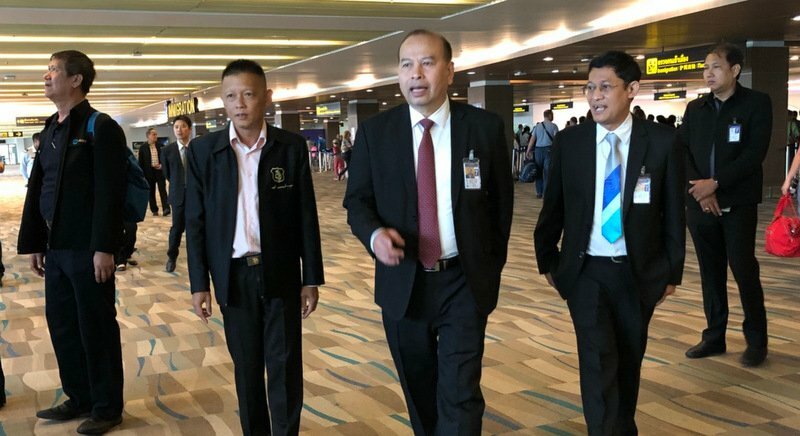 Committee Deputy Chairman ACM Boonyarit Kerdsuk said the inspection tour, conducted on Mar 25, was aimed at following up on the ongoing renovations and inspecting services at the airport following many complaints from passengers, tour companies, media and even other government departments. 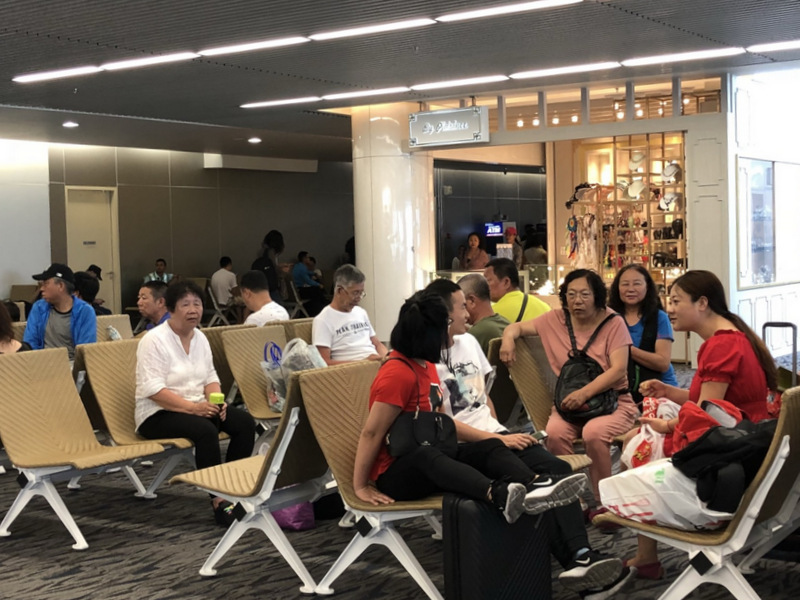 The recommendations came at a meeting held after Mr Petch led the committee on a tour to inspect the renovations, customer service areas, check-in counters, immigration service and seating areas in both the domestic and international terminals. 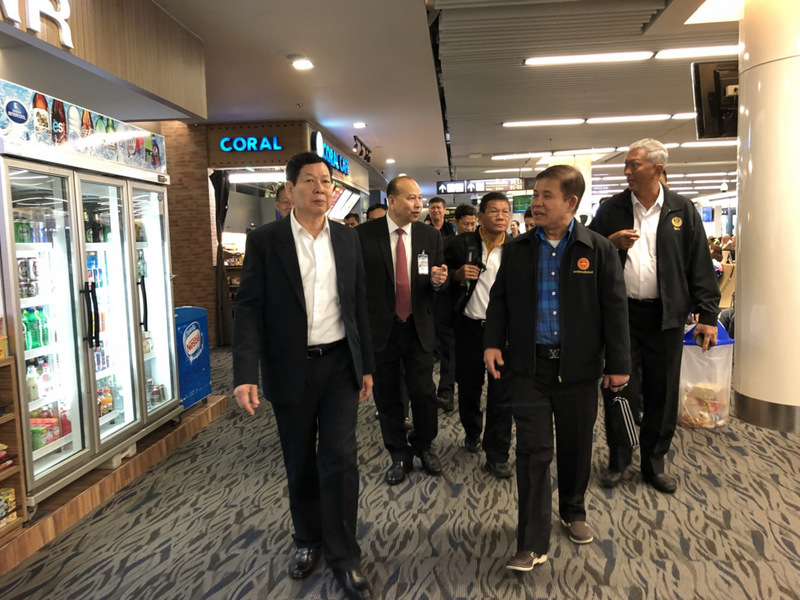 ACM Boonyarit said there was not enough seating at the terminals, as about 60% of the area had been set aside for shops, and that some fo the shops even obscured the beautiful landscape views of the runway and the sea. “There should be adequate space for passengers to wait for their flights. It should be at least 70% for passengers and 30% for the shops,” he said. “We do not want Phuket airport to become another mall,” ACM Boonyarit said. He added that better services for both arrivals and departures, including immigration, customs and police, must be developed. “There should be more and better air conditioning as well. Some areas in the domestic terminal are very hot because of the unfinished renovation,” he said. 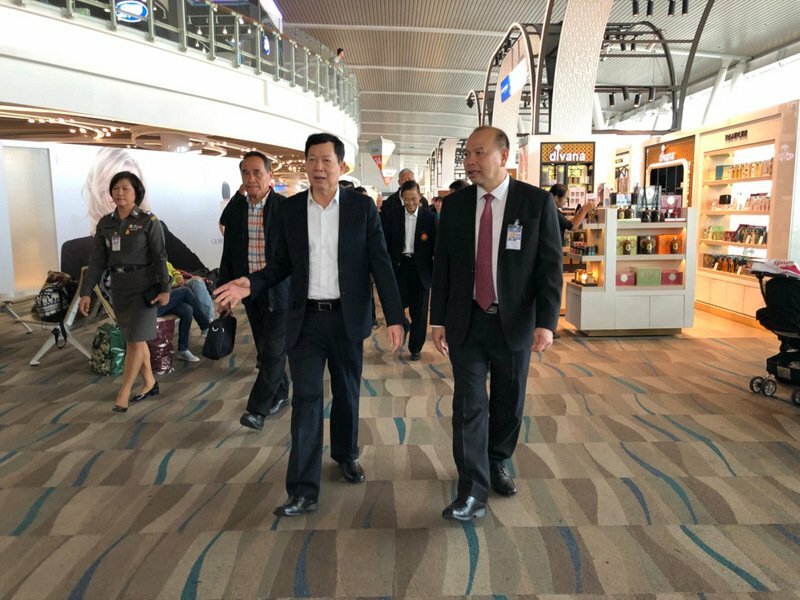 ACM Boonyarit also suggested that airport operations staff make more announcements on how flights are to be affected by any repairs or maintenance to the runway, especially during the April holidays, when the number of passengers will increase. In response, Mr Petch pointed out that airport had recently suffered a slew of problems including a lack of facilities, problems with lighting and electrical systems, and urgent repairs to the runway. “The whole renovation is not yet complete, but when it is the airport will have a capacity of 12.5 million passengers,” he said**. “The number of tourists in Phuket last year exceeded 16.5mn, so we are already operating beyond capacity, but we are trying our best,” Mr Petch admitted. * The Phuket News searched the website and was also unable to quickly find Phuket International Airport’s ranking in the survey. ** Not 18mn passengers as reported in several recent press releases issued by Airports of Thailand. Come on people, give the guy a break, if he says everything is fine i'm sure it is, just like when all other officials tell you how everything is in hand, like the life guards, no more corruption, the police making sure all the clubs are shut on time, vehicle checks to reduce accidents, i don't know why people are so sceptical? Next time take some picture of the Immigration (chaos) on Phuket Airport and mail this to Phuket News. Is there any one, any person, who can agree with Phuket airport manager that EVERYTHING's fine? Please, write it here. Support the manager . About good Immigration, good scam free transport facilities, there is enough sitting space for waiting passengers. Good belt luggage handling. Phuket airport climate control is fine, and so on, and so on. Khun Petch obviously wasn't there when I got back from China and saw 5 Immigration gates for the mass of Chinese and other tourists...and 3 empty posts for Thai locals, with the Immigration bums standing around playing on their phones. I guess we're all just supposed to believe all is OK because Khun Petch says so...even though everyone knows everything is not "fine". Having landed at the domestic terminal this week I can assure the airport chief that everything is NOT ok. The Baggage Claim hall was like an absolute furnace and the bags took forever to arrive. Mobile AC could be hired within hours, but no. If it’s so nice there I suggest the chief moves his desk into the bagge claim area and see how he likes it for a few weeks.